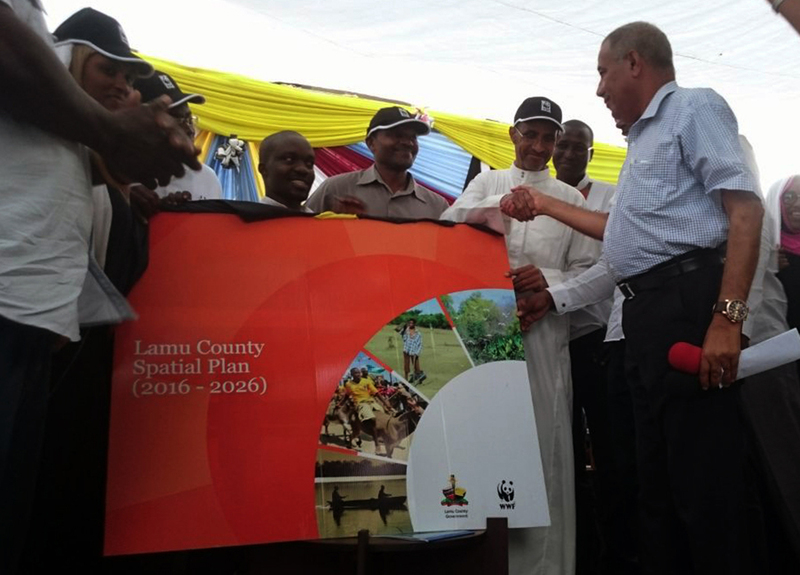 Kenya recently launched a National Spatial Plan, which is the first of its kind in history. This is a plan detailing the distribution of activities and people in the shrinking land space, while taking into account the needs of the people and nature. Kenya recently launched a National Spatial Plan, which is the first of its kind in history. This is a plan detailing the distribution of activities and people in the shrinking land space, while taking into account the needs of the people and nature. Due to the growing population and rapid rate of economic development, it is important to ensure that people and activities are organised and distributed within a defined space. Key to this, is developing a zoning plan, to establish the availability and suitability of the land for settlement and related activities, while ensuring that areas set aside for protection and nature are safeguarded. The Plan is anticipated to promote the attainment of national, social, economic and environmental goals and objectives. Further, the Plan provides strategies and policies to deal with national challenges including urbanization, regional imbalances/inequalities, rural development, environmental degradation, transportation and underutilization of the massive resources available in the country. The 30 year Plan with a 10-year periodical reviews, will cover the 47 counties and the Exclusive Economic Zone (EEZ). The preparation of the National Spatial Plan is recommended under Kenya Vision 2030 as a flagship project. Under the Infrastructure Services section it has been identified as one of the foundations for socio-economic transformation. A keen look at the National Spatial Plan however, does not give an elaborate direction on how to solve the challenges facing the marine resources which include but not limited to unsustainable mangrove harvesting, unsustainable fishing, dredging, oil and gas exploration, large scale constructions such as ports, oil spillage along shipping lines etc. The plan does not also zone out the different marine uses and how they will be managed to achieve socio-economic transformation for the blue economy. Increased pressure and incompatibility of uses in ocean space on the marine environment has led to two important types of conflicts in the Kenyan waters, an anticipated conflict on ocean use and the conflicts between users and the environment. With human activities and resource use continually developing and nature itself changing in space and time, it is obvious that conflicts are increasingly likely. The only solution to resolve these conflicts is through management of human activities (sea use management) that addresses their impact in space and time. There is an urgent need to organize human activities in certain places, and with certain time constraints that minimizes negative impacts on ecologically valuable areas of the marine ecosystem. A comprehensive way to achieve this is through the use of marine spatial planning. Various stakeholders are mobilizing resources and developing a roadmap to support Marine Spacial Planning (MSP) work in Kenya, a practical strategy to implement the ecosystem-based approach to the conservation and management of marine resources. Developments of marine spatial plans in Kenya will not only go a long way in securing critical marine resources but also sustainable management of our marine resources. Nathan Mutunga, Spatial Planning officer, WWF-Kenya.